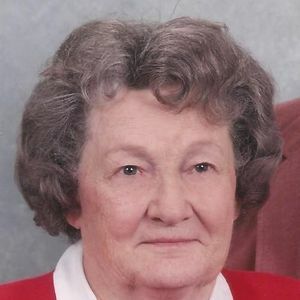 BELTON – Josephine Pearl Stanley Howard, 90, of Belton, departed this life to receive her eternal reward in Christ on August 26, 2015, at 7:00PM, while surrounded by family, friends, and loved ones. She was born March 25, 1925, in Muhlenberg County, to Moses and Bertha Stanley. She was the wife of the late Thomas C. Howard. She was a member of Browder Missionary Baptist Church, and was a lifetime servant of the Lord. She was preceded in death by her parents; and siblings J.W. Stanley, Woodrow Stanley, Velma Lee "Peggy" Stanley Shepard, June Stanley Miller, and twin sister Jackie Stanley McGhee. She is survived by one brother, Gilbert C. Stanley of Belton; her children, Barbara (Randall) Hardison of Belton, Timothy (Linda) Howard of Belton, and Sherry (Eddie) Robison of Georgetown; grandchildren Angela Hardison (Kevin) Collins, Stephanie Hardison (Phil) Cole, Troy (Hazel) Howard, Erica (Scotty) Smith, Cory (Becka) Howard, Logan Robison, and Brent (Ann Marie) Robison; great-grandchildren Dillon Parsons, Tory Parsons, Zack Parsons, Natalie Howard, Chase Howard, Ethan Howard, Bryce Carter, Brittany Carter, and Ian Robison; great-great-grandchildren Spencer Parsons and Paisley Parsons; and many beloved nieces, nephews, cousins, and other extended family. Funeral services will be Saturday, August 29, 2015, at 1:00PM at Tucker Beechmont Funeral Home, with Dr. Ron Wells officiating, and Rev. Jeremy Jessup assisting. Burial in Union Ridge Cemetery. Visitation will be Saturday after 10:00AM at the funeral home. There will be a meal provided at Browder Missionary Baptist Church following the funeral. Online condolences may be made at www.tuckerfuneralhomes.com. May a peace that passes all understanding and the love of friends and family carry you through this difficult time. Much love and prayers to you.